Visit Wales The Welsh Tourist Board; a great place to start when planning a trip to Wales. There’s an office in NYC too. Things to do: places to stay: Holiday planning: Explore Wales. Wales.com The official gateway to Wales. Facts, activities, castles, accommodation, study, government and so much more. Wales Online Where to go for Welsh sports, What’s On, News, Photos and much more. Also on FB. 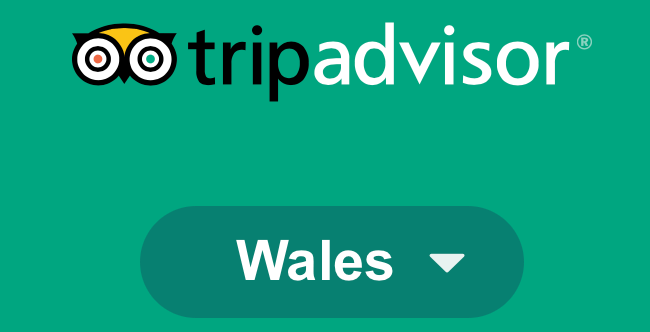 Trip Advisor - Wales One of the leading holiday planning sites includes Wales. Ynys môn (Isle of Anglesey) A great site with information about all of Anglesey, including its churches, ancient monuments, family history, and the story of both Menai Bridges. Cadw Cadw is the Welsh Government's historic environment service working for an accessible and well-protected historic environment for Wales. Best of Wales Good resource for finding holiday cottages in Wales. Holiday Lettings - a good site to look for vacation rentals in Wales. Fly2Wales - Our aim is to provide and promote holiday information for Wales to the overseas, international and UK tourist plus also share our history, culture and traditions. WorldWeatherOnline - Just enter the name of any city or town in Wales to check the weather conditions there. Note that temperatures are given in ºC.